What actually is academic impact? And how can one optimise the non-academic impact of research? Those were the key questions at the first "Impact School", which was held at the Alexander von Humboldt Institute for Internet and Society in Berlin from 29th November to 1st December 2017. Impact is an intrinsic factor of the academic system, which today is mostly based on the measurement of citations. High impact can have a positive effect on opportunities for promotion in academia’s competitive career system. Therefore, researchers naturally aspire to optimise academic impact and get published in relevant journals with a high Impact Factor, for example. “As researchers, in our everyday work we are constantly faced with aspects of impact, such as the Impact Factor of publications. Forschungsergebnisse können beispielsweise im Sinne von Open Science für eine breitere Öffentlichkeit zugänglich gemacht werden, direkt durch die Forschenden oder über Mediatoren wie Journalisten. Das fördert die Akzeptanz bei Bürgerinnen und Bürgern, was in Zeiten zunehmenden Zweifels an der wissenschaftlichen Autorität von immenser Bedeutung ist. Are researchers in too much of an academic bubble in terms of their thoughts on impact? The impact of research can also be found outside of the academic system. For example, the results of research can be made accessible to the wider public in the sense of open science, either directly by researchers or via intermediaries such as journalists. This promotes acceptance amongst members of the public, which, in times of growing doubt about academic authority, is incredibly important. There is also the option of using academic findings in a corporate environment and developing them into viable business models. Various support programmes such as EXIST, which is offered by the German Federal Ministry for Economic Affairs and Energy, are aimed at supporting such start-ups in the academic world. Finally, political consulting is another field of academic impact: Academic findings are conveyed to political decision-makers so that they can acquaint themselves with a subject area and incorporate the findings into political debates and decision-making processes. Comprehensive programmes on optimising impact in “media and society”, “economics” and “politics” are rare and most researchers therefore lack the necessary knowledge and skills. It is this gap that the “Impact School: Science Transfer in the 21st century” is specifically aimed at. Marcel Hebing and Benedikt Fecher (HIIG) came up with the idea. It comprises a three-day training course for these three precise fields and is primarily aimed at advanced doctoral students and postdocs. Each topic block involves both theoretical and practical hands-on sessions in which the results of research are visualised, a quintessential business model is developed or the contents of a policy paper are drafted, for example. “It was important to us that participants understand that academic findings have to be edited in different ways for different target groups. The traditional paper is not the best way of reaching politicians or members of the public. Even in academia, it is no longer the only way of conveying knowledge”, says Benedikt Fecher. The first Impact School was held in Berlin from 29th November to 1st December 2017, and was organised within the context of the Leibniz Research Alliance Science 2.0 by the impact·distillery, Alexander von Humboldt Institute for Internet and Society (HIIG) , the German Institute for Academic Research, and the ZBW – Leibniz Information Centre for Economics. Around twenty participants from various European countries and different disciplines came together in order to learn more about non-academic impact and to exchange ideas. All participants had to apply in advance by submitting a cover letter and were selected via an assessment process. There are plans to hold the Impact School again in 2018 in cooperation with the Leibniz Research Alliance Science 2.0. However, beyond that, impact·distillery wants to establish an “Impact Community”, and develop and expand the format. This is because, on the one hand, there is clearly a need for such training, while on the other hand, such training has to be incorporated into university training schemes at a much earlier stage. It is clear that junior researchers, who are already constantly working at maximum capacity, cannot cover all impact fields. For example, the Impact School participants were sometimes very focused on one area. Researchers need support with this, which begs the question of which new structures need to be set up in research institutes and universities but also in information centres and libraries. Ultimately, the non-academic impact that is highlighted here is not merely an individual achievement but can also be aggregated for entire organisations. This raises another issue, specifically of how this impact can be taken into consideration in the academic evaluation and reward system in the future. 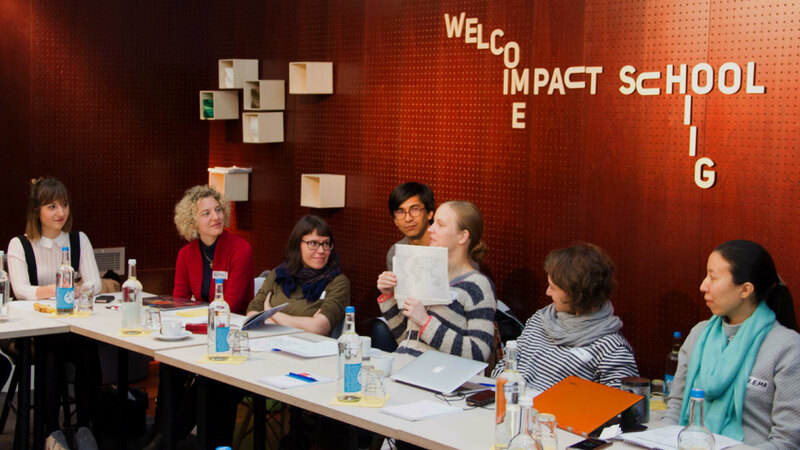 Finally, during their time in Berlin, the participants also asked what impact actually means for their own work. The responses are surprising and encouraging because they were mainly about being able to change something, do some good or tackle a problem. And it was about being willing to share something and be transparent. Appropriately, on the first afternoon of the Impact School, the “Digitaler Salon” [“Digital Lounge”] was held at HIIG, featuring a panel discussion on the topic ““Hacking the Elfenbeinturm” (diskussion in German). 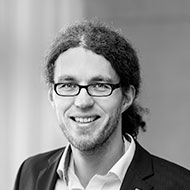 Author: Dr. Guido Scherp (ZBW – Leibniz-Informationszentrum Wirtschaft).